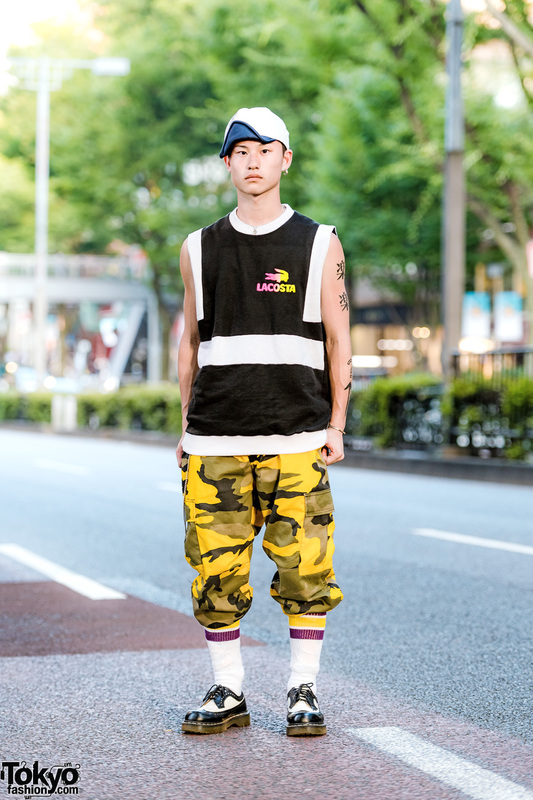 Harajuku guy wearing a sleeveless shirt, camouflage print pants, monochrome creepers and a cap. 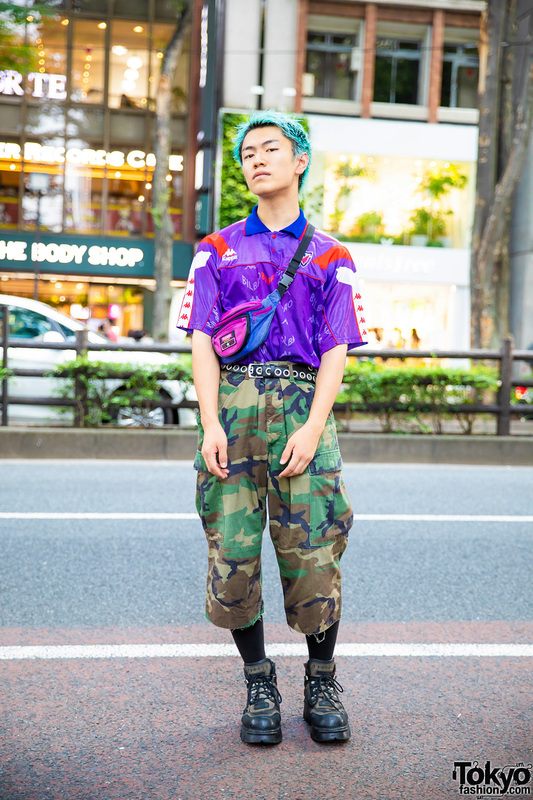 Harajuku student in blonde twin tails sporting a street casual attire while out and about on the street. 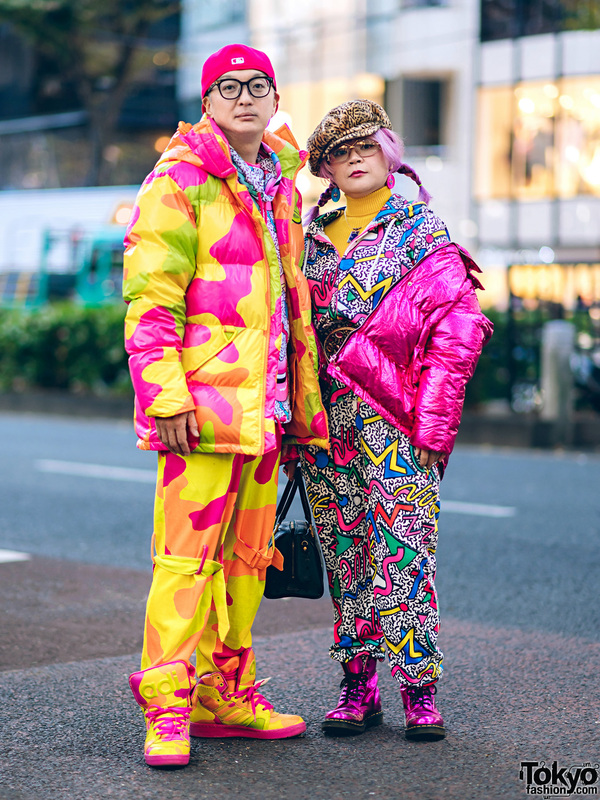 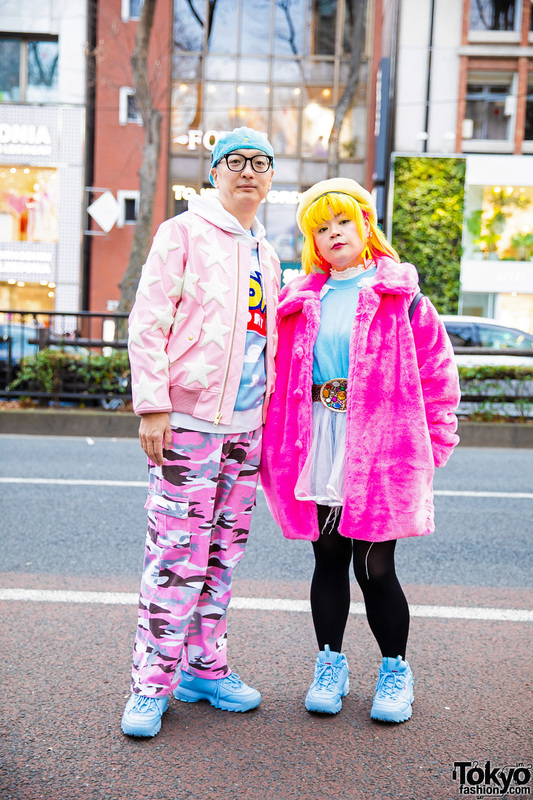 Harajuku girls dressed in funky streetwear fashion styles while out on the street.